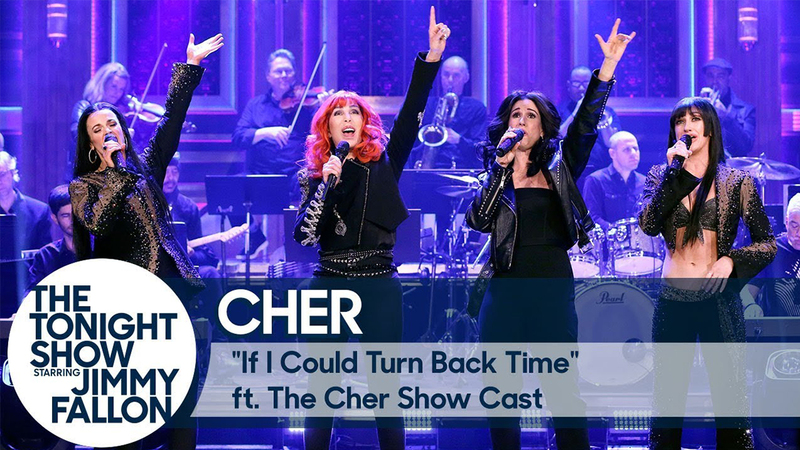 The Cher Show stars Tony nominee Stephanie J. Block (Falsettos, The Mystery of Edwin Drood), Teal Wicks, and Micaela Diamond, each playing the megastar at a different juncture in her life. 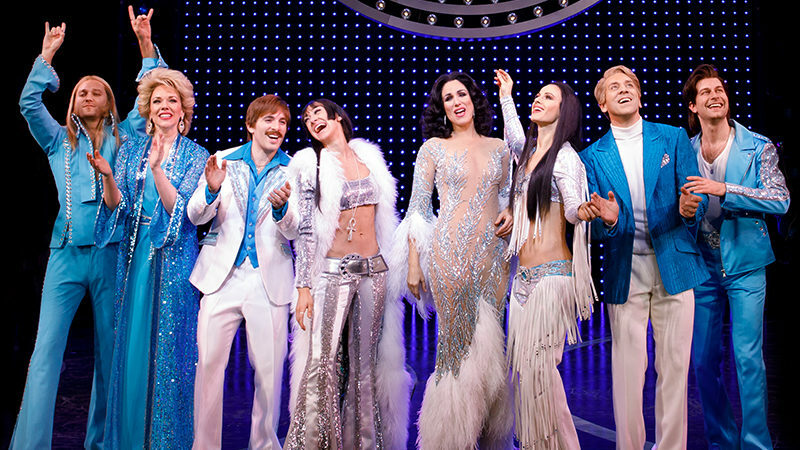 Tony nominee Jarrod Spector plays Sonny Bono, Tony nominee Michael Berresse plays Bob Mackie, Tony nominee Emily Skinner is Georgia Holt, Michael Campayno is Rob Camilletti, and Matthew Hydzik is Gregg Allman. Rounding out the cast are Dee Roscioli, Marija Abney, Carleigh Bettiol, Taurean Everett, Michael Fatica, Ashley Blair Fitzgerald, Michael Graceffa, Blaine Alden Krauss, Colby Q. Lindeman, Sam Lips, Tiana Okoye, Amy Quanbeck, Angel Reda, Jennifer Rias, Michael Tacconi, Tory Trowbridge, Christopher Vo, Alena Watters, Charlie Williams, and Ryan Worsing. Orchestrations, arrangements, and musical supervision for The Cher Show are by Tony winner Daryl Waters, with dance music arrangements by Zane Mark and Daryl Waters. Bob Mackie recreates many of his memorable costumes for the show, with Christine Jones and Brett J. Banakis providing the set design, Kevin Adams designing lights, and Nevin Steinberg on sound.